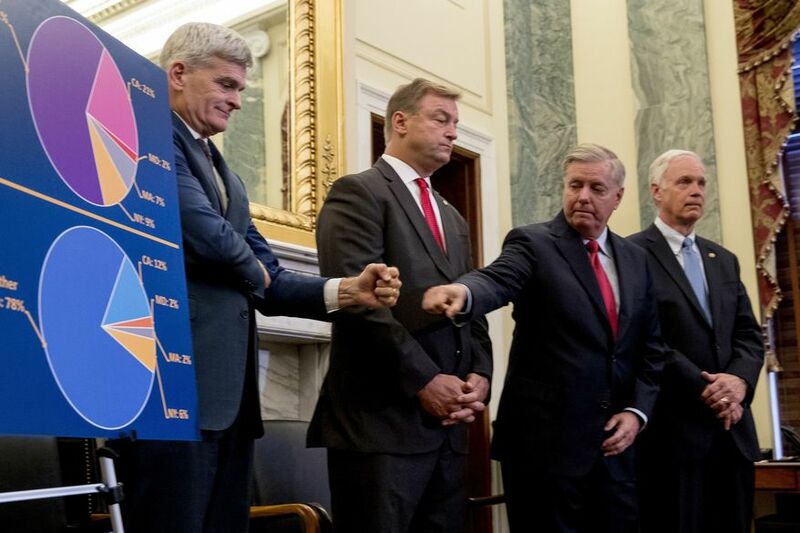 WASHINGTON ­­– In a last-ditch effort to repeal and replace Obamacare, Senate Republicans now have until Sept. 30 to pass the Graham-Cassidy bill, a healthcare bill put forth by Sens. Lindsey Graham, R-S.C. and Bill Cassidy, R-La. that will allow your state governor to determine how valuable your life is. “The government should stay out of people’s lives and let them decide what is best for themselves, which is why we’re dumping this whole problem on the states and let them decide,” said Sen. Graham after the announcement. The initial proposed bill would reduce total federal spending on Medicaid by $776 billion by 2026, throw over 30 million people off healthcare and defund Planned Parenthood. Sens. Graham and Cassidy have faced some difficulty getting the votes needed in order to pass the bill, as some Republican senators have vowed to vote no. In order to win votes, they have since made changes to the bill that will increase the number of uninsured Americans from 30 million to 50 million by 2026. Though the current administration faced opposition, Trump supporters did not let the objections diminish their state of euphoria. Thanks to a special budget rule, Republicans will only need 50 votes, assuming Pence casts the tie-breaking vote. However, the budget rules are set to expire on Sept. 30, hence the rush to finish by the deadline. “Right now we are just crossing our fingers and hoping that our representatives will deliver what they promised us,” added Kostner.